Fall is my absolute favorite time of the year – the crunch of the fallen leaves on the ground, lighting the fireplace and hearing the crackling wood, and two words…sweater weather. This year, Fall started in a very sweater friendly city…London! It was my first time in London, a trip that I have been looking forward to for the past 6 months since we started planning! After years of drawing inspiration from photos online and in magazines, I was excited to finally be able to see all of it in person. 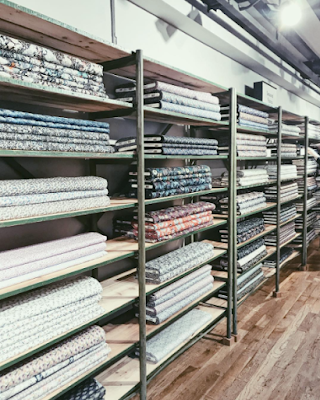 One of the highlights was my visit to Liberty London, an upscale department store that also carries a wide array of Liberty prints in all types of fabrics! It took everything to not buy one of each of the beautiful silk twills and satins. The inspiration didn’t stop there. Hyde Park, little floral boutiques on quiet corners, the intricate architecture on historical sites, the art deco interiors of Bob Bob Ricard… The list goes on. After a few days in London, we flew to Tuscany for the main reason we came to Europe: one of my best friends’ wedding. 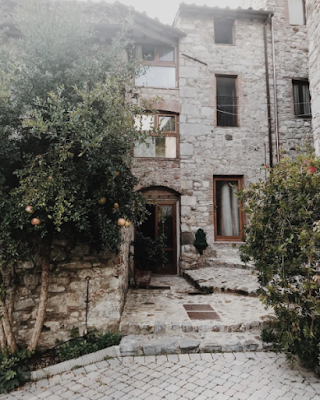 The bride and groom found a quaint Italian village that was built in the 1500’s that was the perfect venue for their destination wedding. The property was in the beautiful Tuscan hills, just outside of Lucca. It was the most picture perfect location for what was to be the perfect wedding. Six months ago, the bride, Chelsea (Founder of Brow Authority), came to me with a vision of what she wanted for her gown – something simply elegant and dramatic and something no one else would have. Together, we created her dream wedding dress… a silk crepe mermaid gown with hand placed lace applique and lace bell sleeves. She completed her look with a custom Katie Fong lace trimmed cathedral veil. Watching her walk down the aisle to meet her soon to be other half was an emotional moment that I’ll never forget. This October was truly a month to remember and it’s not even over yet! A little floral boutique on the street. The Bride wore custom Katie Fong Bridal. Image by Monro Photography. Bridesmaids! I'm wearing the Alana Gown and my college friend Eva is in Halston. Sign up with your email address to receive Katie Fong news and updates. All rights reserved. Katie Fong © 2019.